Charcoal is a simple yet indispensable tool for fine artists. For many years, Coates Willow Charcoal has been recognized as the best-quality charcoal in the world. 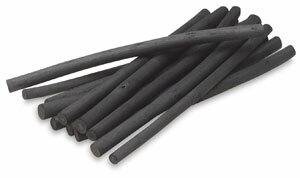 Premium Artist Willow Charcoal is available in five sizes.